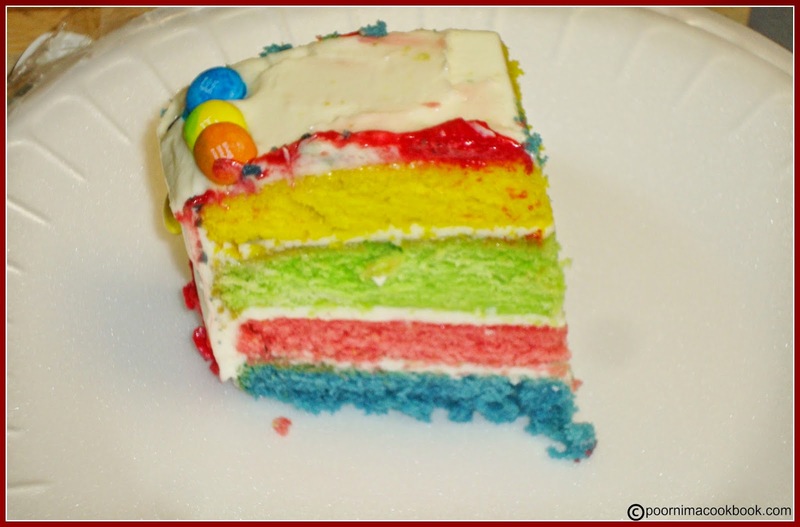 This bright, yummy, layered cake is interesting to prepare and perfect for kid's parties. 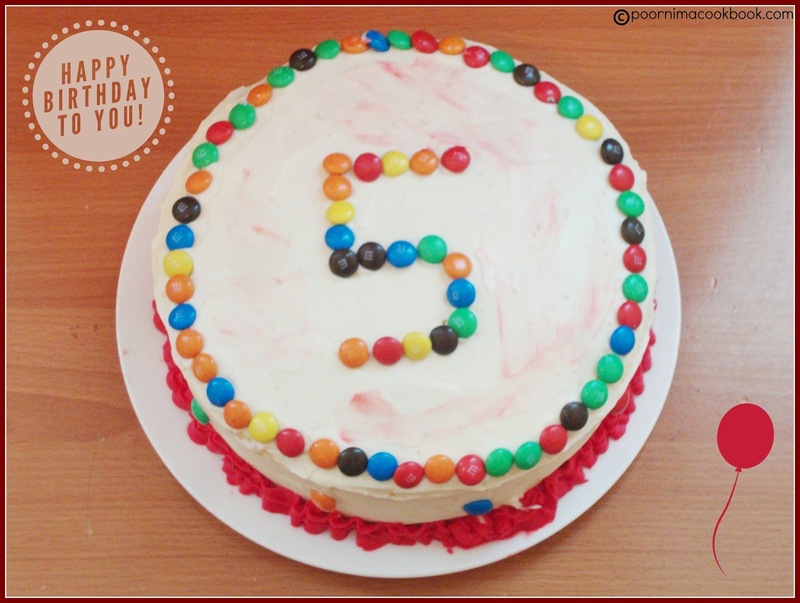 I baked this cake for my son's 5th birthday. Though preparing this cake was little time consuming; I thoroughly enjoyed while preparing and outcome was very satisfying. Though I am not a professional baker; love for baking always insists me to try something new. 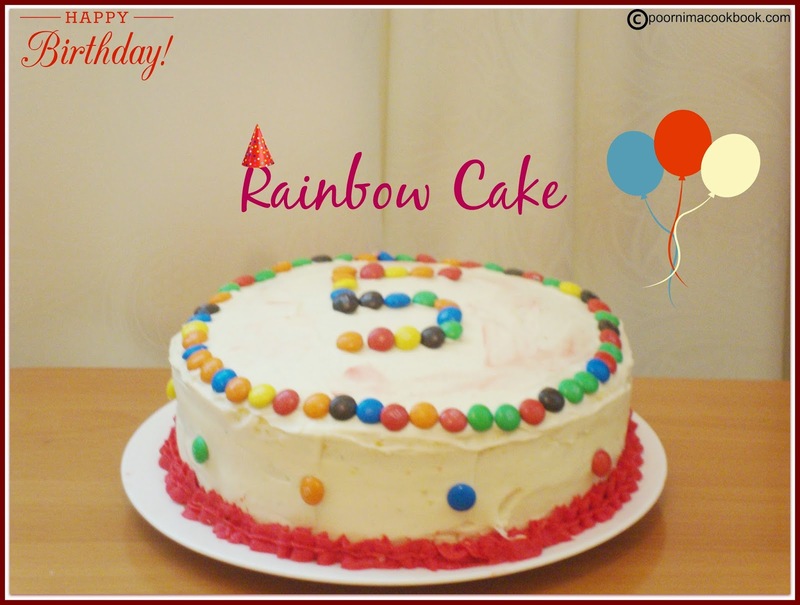 It was a big hit among kids; they loved the colorful layers on this cake, Try and enjoy the happiness of your kids! Sift together the flour and baking powder; set aside. Beat sugar and butter till it becomes fluffy and light. Add eggs one by one and beat it thoroughly. Then add vanilla essence. Fold in the flour mixture into the wet ingredients; use the spatula to mix evenly. 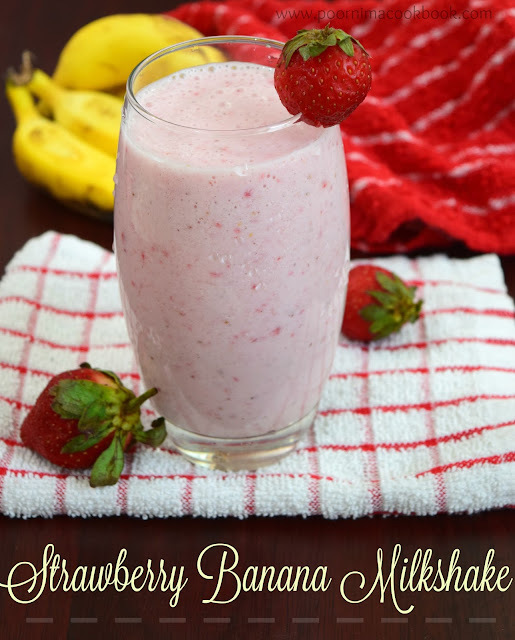 Add milk to adjust the consistency (add little by little). Divide the cake batter into four bowls and add desired food coloring to each bowl (red, blue, green and yellow). Pour the cake batter into the greased cake tins and bake on preheated oven at 180 deg C for 15 – 20 minutes, until a toothpick inserted into center of a cake comes out clean. Trim the rounded top off cakes to level, if needed. On serving plate or on cake board; place blue cake layer. 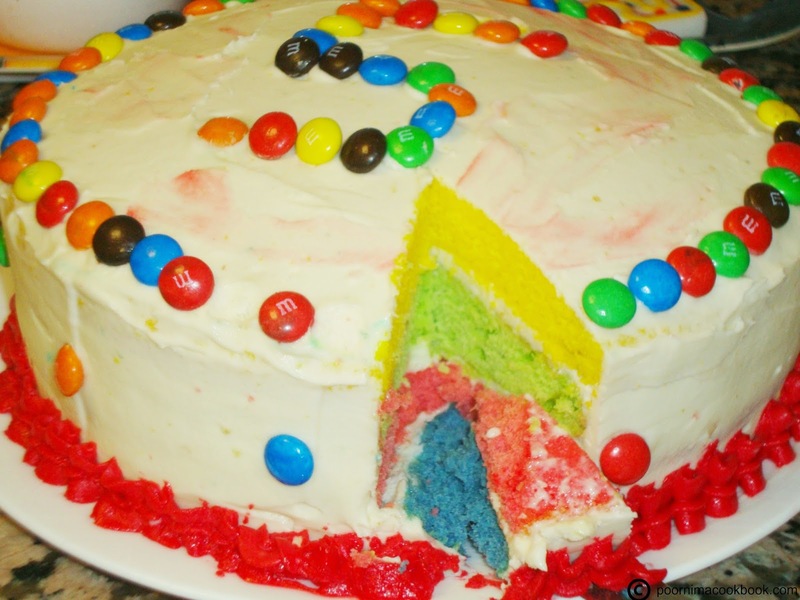 Spread with frosting and repeat with red, yellow and green cake layers. Spread light coat of frosting on top and side of cake to seal in crumbs, then frost with remaining frosting. Once you have finished frosting the cake, add any decorative touches or words that fit your occasion! In a medium bowl, mix together the cream cheese and butter until creamy. Mix in the vanilla, then gradually stir in the icing sugar. Store in the refrigerator until ready to use. Either spread with spatula, or spoon into a piping bag to decorate your cake. 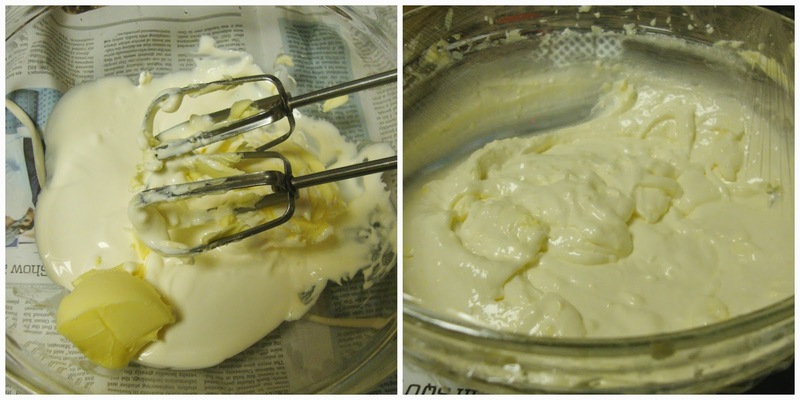 If you don't want cream cheese icing; go ahead with simple butter cream icing. Both tastes great. Use 6" baking tin if you prefer to bake more layers. You can store finished cake in refrigerator, but serve at room temperature else the cake won’t be soft enough and the flavors won’t come through as intended. Labels: Birthday cakes, Cakes and Bakes, Cream cheese frosting. wow !! so colorful &delicious cheese frosting cake . well done ,convey my birthday wishes to your son . I love this cake! So bright and cheerful! 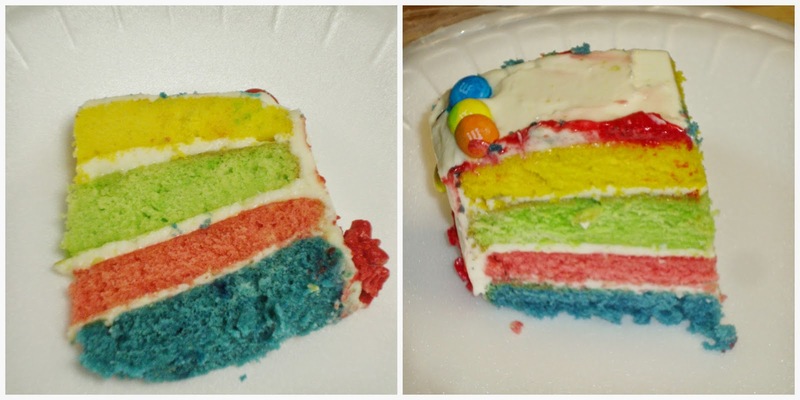 Lovely colourful cake. 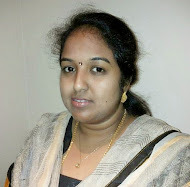 From the pictures its visible that you have enjoyed thoroughly while making it. I am sure it becomes very famous among Kids. Thank you friends; surely I will convey your wishes to him. Beautiful cake for a celebration, my belated birthday wishes to ur boy.May god bless him.